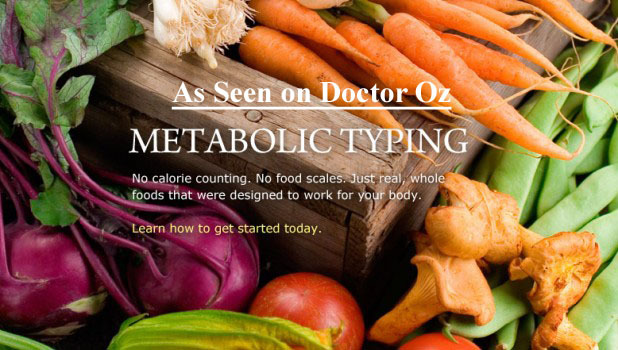 What is the Metabolic Typing 'Diet'? Have You Tried Everything Else?? For hereditary reasons, metabolism is unique. Cutting-edge research shows that no single diet works well for everyone - the very same foods that keep your best friend slim may keep you overweight and feeling unhealthy and fatigued.